The Lake Victoria Haplochromine cichlids are a unique and highly endangered ‘species flock’ of over 500 historic species of which perhaps 200 remain extant in either the lake, or in captivity (Witte, et al 1992). The countries of Kenya, Uganda, and Tanzania border Lake Victoria, the second largest lake in the world, (based on surface area). Recent information indicates that the lake dried up completely 12,400 years before the present time (Johnson et-al 1996). This means that this group of fish must have evolved in the lake since that time. The introduction of exotic species into this ecosystem combined with over-harvesting, and eutrophication (Seehausen et-al 1997) have all contributed to the population collapse of this unique group of cichlid species. This Haplochromis piceatus is thought to be extinct in the Lake. In the late 1980’s Dr. Les Kaufman (then of the New England aquarium) brought the plight of Lake Victoria to the attention of public aquariums in the United States. Dr. Kaufman spearheaded the captive maintenance of those species he was able to acquire from Africa and Europe as well as developed the first studbook. The aim of the studbook is to supply members of the Victorian Cichlid SSP with basic husbandry and natural history information concerning their specimens as well as offer a current census of all fish in the program. The traditional studbook format which lists living and historical populations, and traces ancestry and lineage’s has been modified to better reflect our lessened ability to track the literally thousands of fish which simply cannot be identified to the individual level. This “census” approach, (in which no studbook numbers are used) is the only manageable means to track such a large number of small fish. This method also provides sufficient information for the species coordinators to help the various aquarists direct the populations of fish at their facility. 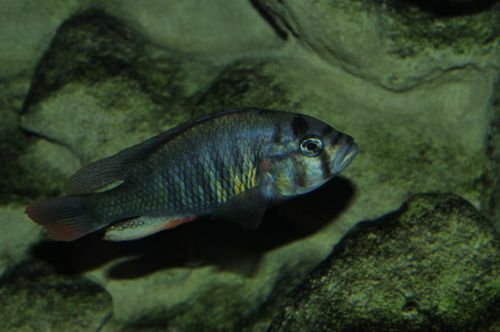 While the work of zookeepers and aquarists is fundamental to the success of any SSP program, the Lake Victorian Cichlid SSP is perhaps unique in that the animals, although highly endangered, are easily propagated in captivity. This means that populations of these SSP fish can be maintained with fewer capital resources. All it really takes for a facility to succeed in the program is a moderate number of small aquariums and at least one interested person to oversee the population. That person is most often an aquarist. This sort of grassroots program is a good fit for many smaller facilities, a few minutes out of an aquarist’s day can be all the human resources needed to support the program at a given facility. Since the fish in this SSP are not individually identified, each facility endeavors to line-breed their population using well-founded aquarium husbandry techniques. Each aquarist maintaining a population of these fish is in effect operating their own miniature SSP – the aquarist overseeing the SSP fish directs the husbandry needs of the in-house population, monitors population trends of the lines being propagated and offers suggestions regarding which fish should be bred, and how many new fish will need to be produced over a given time frame. Another facet of the VSSP in which aquarists have served an important role is in-situ conservation work. Focusing primarily on public education in the range countries, North American aquarists have traveled to Africa to work on a variety of initiatives. One zoo was instrumental in developing a children’s coloring book that offers youngsters in the region an entertaining approach to learn about the ecology and problems facing Lake Victoria. Aquarists and curators at another Zoo have traveled extensively to Africa to work on projects such as constructing exhibits at the Kisumu museum, assessing educational needs of primary schools, and field work identifying Haplochromine species still existing in satellite lakes around Lake Victoria. The staff of many North American Zoos and Aquariums have collaborated with African scientists on various field research projects. Participants in the Victorian Cichlid SSP are guardedly optimistic regarding the future of the program. While the captive populations of these fish seem routine to manage over the long term, there are obstacles. One challenge facing the program is the very thing that makes the program so accessible to aquarists: the one or two motivated aquarists that make the program so successful at a given facility are also the same ones likely to be promoted or move on to new jobs. This may lead to discontinuity in the program if there is not another interested aquarist at the facility to take their place. In addition, many of the cichlids in the SSP program have been diagnosed as having chronic infections of Mycobacterium species bacteria. While this problem can be managed (by actively breeding the population so the fish do not become senescent) there is presently no known cure. This poses a challenge to the SSP in regards to ever releasing program fish back into Lake Victoria. If it turns out that the strain of Mycobacterium present in program fish is not naturally found in the lake, it would preclude the return of any of these fish to the wild. 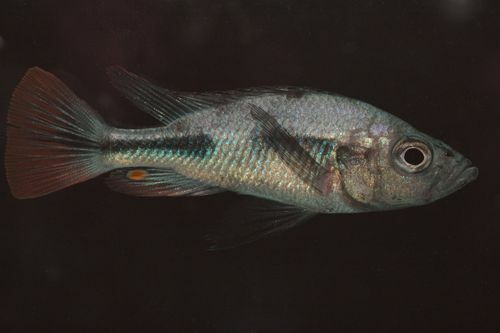 A pilot study regarding the presence of Mycobacterium was performed by a masters degree student from Africa, but further work is still needed.The Victorian cichlid program is always seeking new participants. North American public aquarists interested in participating in this captive breeding program should first assess their available resources, and then contact one of the species coordinators or the regional studbook keeper to learn how they can help. Contact information is available at www.aza.org. Hemdal, J.F. 2008. Lake Victorian cichlid regional studbook. Eighth edition. Association of Zoos and Aquariums / Toledo Zoo publication. Kaufman, L. 1988a. Caught between a reef and a hard place: why aquariums must invest in the propagation of endangered species. Proceedings of the 1988 AAZPA National Conference. Pittsburgh. Witte, F., T. Goldschmidt, J. Wanink, M. van Oijen, K. Goudswaard, E. Witte-Maas, and N. Bouton. 1992. The destruction of an endemic species flock: quantitative data on the decline of the haplochromine cichlids of Lake Victoria. Envir. Biol. Fishes. 34:1-28.